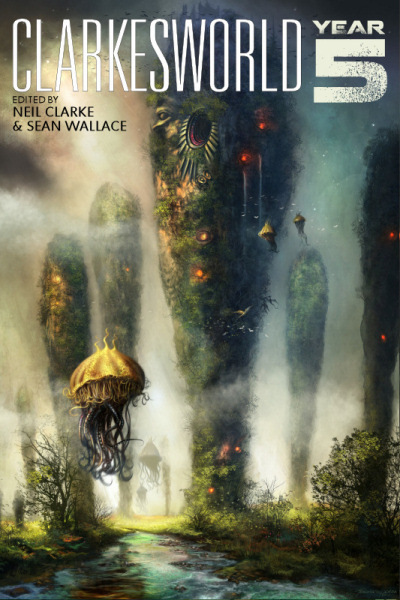 Wyrm Publishing has released CLARKESWORLD: YEAR FIVE in ePub and MOBI/Kindle editions. Trade paperback is coming later this month. Name check: in the upcoming sci-fi comedy “Absolutely Anything” (with the Monty Python cast), Simon Pegg (Shaun of the Dead, The World’s End) will play NEIL CLARKE, a “disillusioned school teacher” given magical powers by CGI aliens.